This is a 3D print of X-ray crystallography dataset 4HJO, the Crystal Structure of the Inactive EGFR Tyrosine Kinase Domain with Erlotinib. Epidermal growth factor receptor (EGFR) exists on the cell surface and is activated by binding of its specific ligands, including epidermal growth factor and transforming growth factor α (TGFα) (note, a full list of the ligands able to activate EGFR and other members of the ErbB family is given in the ErbB article). ErbB2 has no known direct activating ligand, and may be in an activated state constitutively or become active upon heterodimerization with other family members such as EGFR. Upon activation by its growth factor ligands, EGFR undergoes a transition from an inactive monomeric form to an active homodimer. 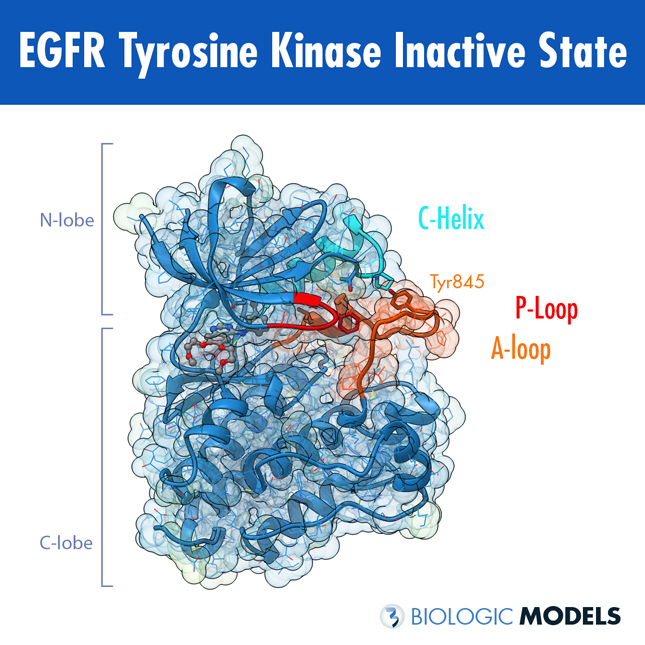 This 3D animation depicts EGFR bound by Erlotinib. Important protein structures like the alphaC-Helix, P-Loop and A-Loop are visualized to identify EGFR’s active state. 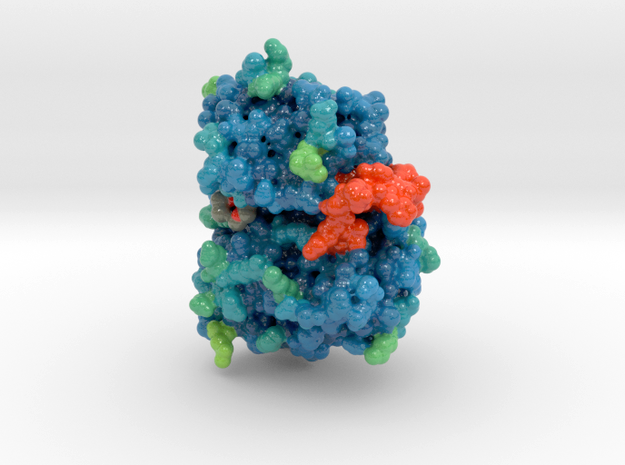 If you’d like to explore EGFR, you can purchase a 3D print of EGFR in both its active and inactive state. Models available in multiple sizes and materials. 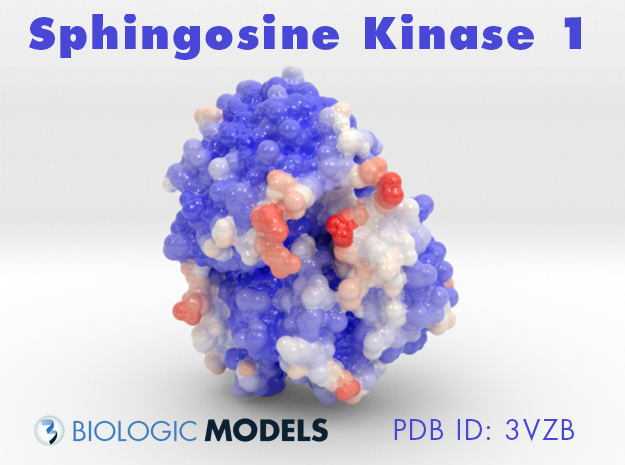 Let us know if you’d like to request a customization or have a need for a protein model.